1 What Do You Mean You Don’t Eat Meat? Now there’s something you don’t hear anymore in Spain! Gone are the days when it was necessary to educate staff in bars and kitchens as to what actually constituted meat and fish. Vegetarians here frequently had to hand back dishes that unexpectedly contained ham, chicken or tuna. Today, practically everybody in the hostelry business understands what being vegetarian means. That won’t prevent bar staff from handing out free tapas such as chorizo when they are delivering drinks but if you have a meat-eating person in your party – they’ll be happy! If not, just push it to one side. It is a bit harder to eat out as a vegan in Spain as this concept is still widely unknown here. Whether you are vegan or vegetarian, you will need to do some explaining when you place your order and remember to inspect your order when the dish is served as your waiting staff may overlook some ingredients used in the preparation of the dish. Take for example the regional bean, lentil and chickpea stews that are a huge part of the Spanish diet – they will always contain some meat products even if the menu doesn’t reflect this. Wherever you eat out in Spain, you’re nearly always given a basket of bread when you sit down. If you can’t see olive oil on the table. just ask for ‘aceite de oliva’. Drizzle it over a chunk of bread and that’ll give you the energy to patiently read over the menu looking out for the veggie and vegan friendly dishes. Straightforward for vegetarians, this one can be tricky for vegans. The simplest item at the end of a meal is fresh fruit which is rarely on the menu but is nearly always available. You’ll be offered something seasonal that might be strawberries, melon, watermelon, pear or the humble apple or orange. 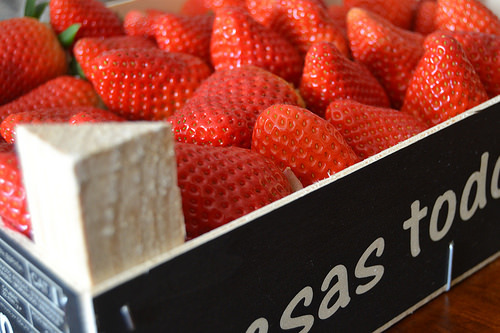 When ordering strawberries, you might need to specify no cream (sin nata). Vegetarians can eat anything on the dessert menu with the exception of the suet-based ‘polvorones’ that are a Christmas sweet. Make sure to try the Spanish staples such as flan (crème caramel) and rice pudding (arroz con leche) and you’ll find lots more regional egg and custardy combos that are so prevalent here. Remember if ice-cream is your thing – it is always better purchased from an ice-cream parlour. If you’re vegan, check at the parlour whether they have make ice-cream without ‘lacteos’ y ‘huevo’. You might be lucky and find they make an ice-cream from soya milk – if not, you might be offered a sorbete (sorbet) or a ‘granizado’ (iced fruit drink) – both of which are delicious and refreshing. 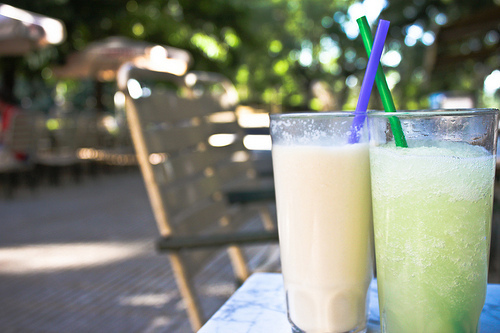 Both vegans and vegetarians should try ‘horchata’ in the Summer – it’s a nutty milky-like drink that is very popular and often sold in shops and bars. If it’s Winter, head straight for the ‘churreria’ or a churro van. Vegans will need to avoid the hot chocolate and check whether eggs were used in the dough “tiene huevo?” but often they aren’t. 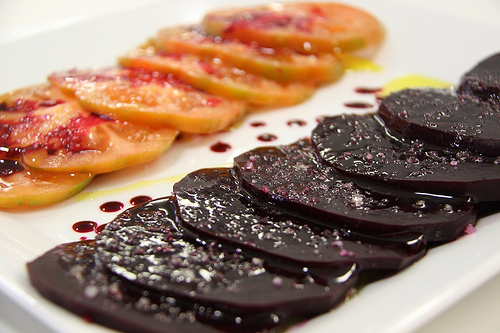 Vegans and veggies will find Spain a haven for seeds and nuts called ‘frutos secos’. Not only in the markets and supermarkets but most of the sweet shops will sell a great selection of pick & mix olives, pickles and lots of nuts and nut mixes. Perfect for a snack or some extra energy while you are pounding the pavement. Handmade crisps are also very common and are always cooked in vegetable oils – you’ll be served these in bars and can find them in the supermarkets too and for sale on the street also. Commercially packaged crisps are nearly always fine – just watch out for the ham flavour – which is probably a synthetic flavour but just in case. Pipas or sunflowers seeds in their jackets are very popular here as you’ll see if you go to any square or sporting event. As a vegan or vegetarian, you are probably already familiar with HappyCow. 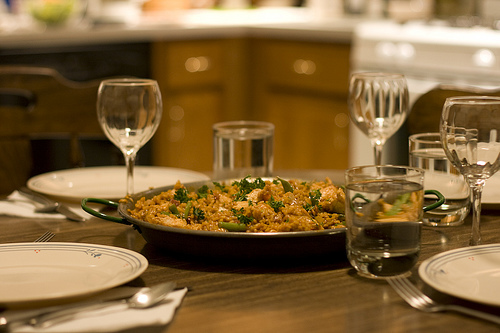 It’s the most reliable source for vegan and vegetarian listings we’ve found for Spain. 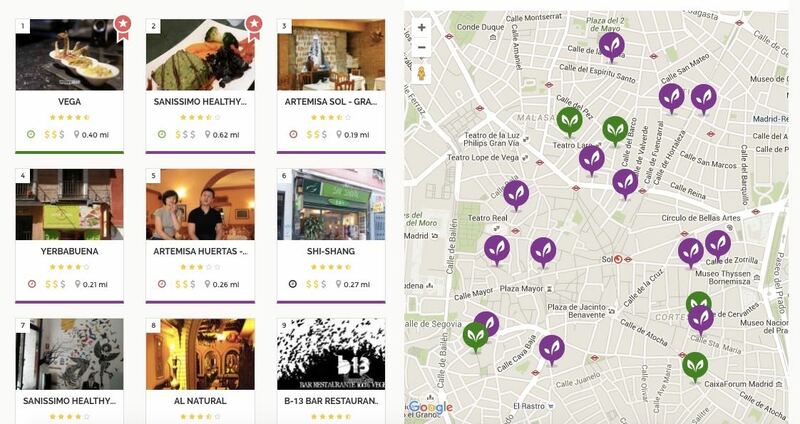 If you select the Vegan and Vegetarian filters for Madrid you’ll find 40 café and restaurant options with a helpful map to guide you to where you want to go. Barcelona beats Madrid on the HappyCow ranking with with 52 options – of course not all of these will be to your liking but the reviews will help you filter though. It gets trickier when you’re visiting smaller cities such as Santander, Malaga, San Sebastian, Toledo, Segovia or Granada that have less choice especially for vegans and you’ll probably need to do a mix of ordering in standard Spanish places and taking in the odd vegan and vegetarian place when you find it. When you find one decent place, always ask for recommendations. The vegetarian and vegan community is a small one so everybody will know where else to go. 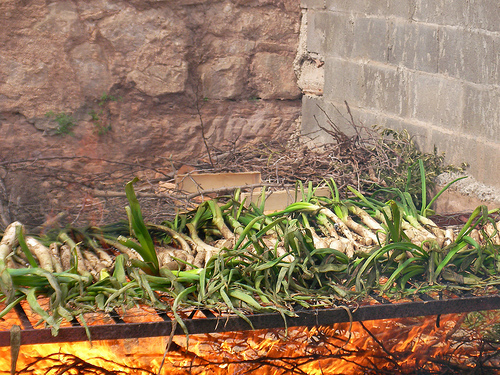 If you find yourself in Navarre, you’ll be pleased to know that this region is famous for its top quality vegetables. They even have an annual fiesta dedicated to vegetables in the late Spring. Definitely something to consider! If you are spending time in the capital, do check out this link for Madrid’s Best Veggie Burgers which includes a few independent burger joints and chains too. 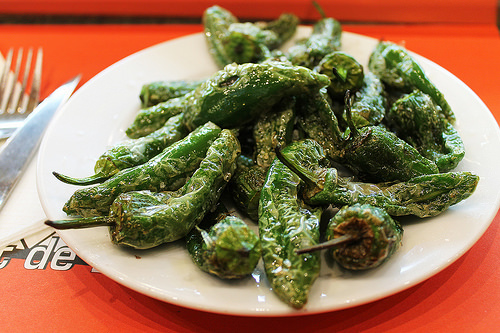 We also hear great things about La Huerta de Almeria which is a new restaurant offering a set price menu (known in Spain as a menu del dia), and snacks, desserts and smoothies in Madrid. 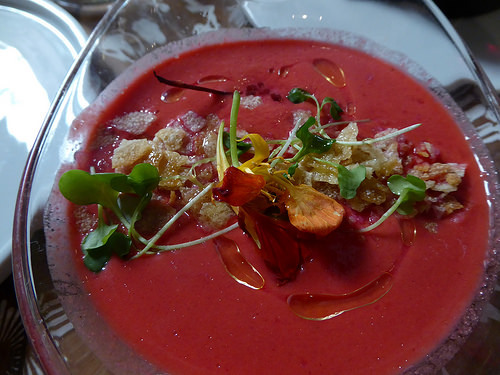 And this link to Harper Bazaar’s 7 Fingerlickin’ Good Vegan Restaurants in Spain is well worth a look also. -Hola. Soy vegetariano/vegetariana – que tienes en la carta sin carne y pescado? -Hi.I’m a vegetarian (male/female)– what do you have on the menu that doesn’t have meat or fish? -Hola. Soy vegano/vegana y no como ni carne, pescado, marisco, huevo ni productos lacteos – que podria elegir de la carta? -Hi. I’m vegan (male/female) so I don’t eat meat, fish, seafood, egg or dairy produce. What can I order from the menu? 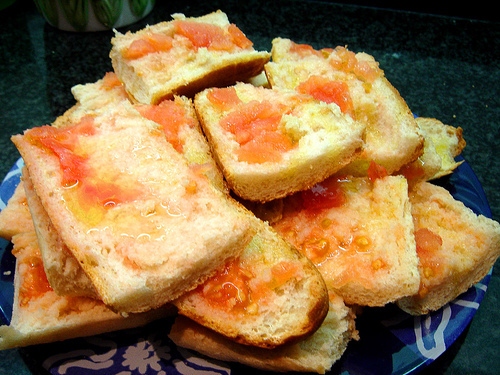 -Quiero una tostada con aceite y tomate si lo tienes– nada de mantequilla por favor. -I’d like toast with olive oil and tomato if you have it – no butter please. -Tienes leche de soja? Si tienes, ponme un café con leche de soja por favor. -Do you have soya milk? If you do, I’ll have a coffee with soya milk please. -Puedes hacer una ensalada verde con lechuga, tomate y pepino? -Could you make me a green salad with lettuce, tomato and cucumber? -Puedes traerme patatas bravas sin las salsas? 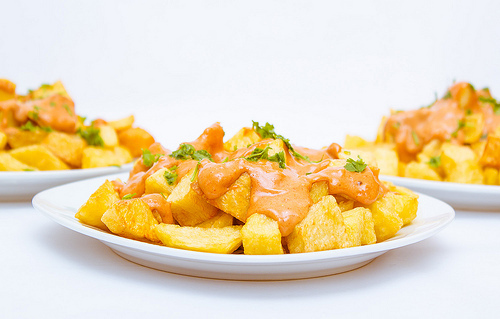 -Could you bring me some ‘patatas bravas’ without the sauces? -El postre tiene huevo o productos lacteos? -Does the dessert have any egg or dairy in it? -Tienes algo de fruta para el postre? Sin nata por favor. -Have you any fresh fruit? No cream please. -Perdona pero la ensalada tiene atun – podrias hacer otra sin atun? -I’m sorry but this salad has tuna – could you do another without tuna? -Perdona pero el plato tiene jamon – se puede hacerlo sin jamon? -I’m sorry but this dish has ham – could you do me another without the ham? -Perdona pero no puedo comer nata – podrias traerme otro plato? -I’m sorry but I can’t eat cream. Could you bring me another without cream? -Este sandwich tiene jamon – me puedes hacer otro sin carne? -This sandwich has ham in it – could you make me another without meat? -Does this cake/tart contain egg? -La ensalada tiene carne o pescado/marisco? -Is there any meat or fish/seafood in the salad? When you get tired of having to explain yourself, you’re probably ready for a meal in. It’s one of the reasons we recommend combining overnights at hotels and apart-hotels so when you tire of the dishes on offer – you can hit the local markets and prepare something yourself from time to time. 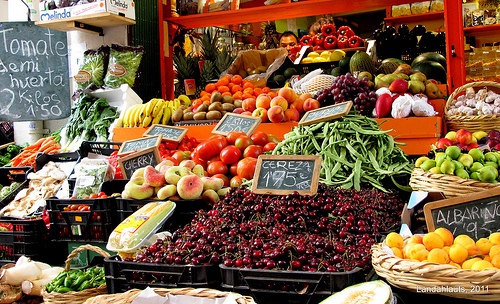 You’ll be pleased to know that Spain’s fruit and veg are absolutely delicious – you really are in for a treat. When it comes to shopping, we are big fans of the country’s food markets – this is where you’ll pick up the tastiest and freshest fruit and veg. When you are travelling around, you can use this handy website to check what markets are on when. You won’t find many ready-made meals in the Spanish supermarket shopping aisles but there are still lots of products you can pick up to rustle up a quick tasty meal. 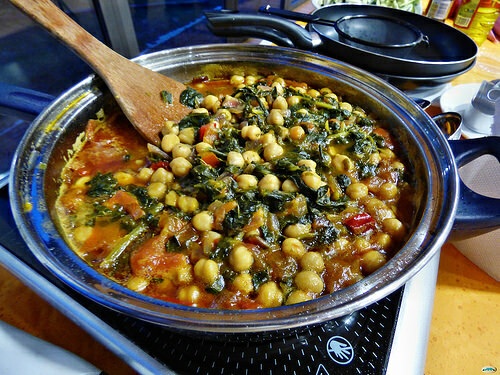 If e’ve already said, pulses dominate much of Spanish regional cuisine. You can’t order these out because they contain meat products but in the supermarket, you’ll find lots of jars and tins of pre-cooked lentils, chickpeas and white, red and black beans in the shopping aisles that make a great addition to any salads or the basis for a homemade soup. Remember to pick up a jar of pimientos de piquillo which are the sweet oven roasted red peppers – perfect in a salad, breadroll or wrap. Watch out for olives with anchovies in the middle – the safest thing is to buy unpitted olives (aceitunas con hueso). If you are planning on cooking here in Spain, our best advice is to pick up a jar of ‘pimento choricero’ which is a deep red peppery sauce that gives dishes that chorizo colour and flavour without the meat content – it’s perfect for adding to simmering stews and soups. If even you aren’t cooking when on holiday – we’d recommend you pick up a jar to bring back and make classic dishes such as ‘Patatas a la Riojana’ without the chorizo. You will generally find lots of meat-free and dairy-free alternatives in the shops – including almond milk and soya milk, olive oil spreads plus lots of yoghurts and desserts made from soya milk. Soya is ‘soja’ in Spanish pronounced a bit like ‘so-ha’. The health food shops called ‘herbolarios’ are usually the best places to pick up organic fruit and veg plus all the usual tofus, seitans and other alternative sources of protein. Supermarkets are also gradually stocking more organic lines – and you’ll find the array of veg in the average ‘fruterias’ to be dazzling! If you’re in El Corte Ingles, head for their “Special Line” which are the own-label special requirements items including gluten-free, organic items, plus many veggie and vegan options. Another store to keep an eye out for on the high-steet is La Chinata – perfect for excellent olive oils and olive pastes, pestos, caramelised veg, sauces, relishes, jams and more. As always, you’ll need to check the ingredients for dairy, meat and fish but you’ll come out of here with a big bag of goodies guaranteed! We are massive fans of the place. Mercadona is a great supermarket for anybody with allergies and is widely praised for its own brand gluten-free products at affordable prices. It’s not un-like Trader Joe’s. It also has a good number of veggie and vegan options but you do need to check the ingredients carefully. We like the hummus and some of their frozen stir-frys are very good too. We haven’t tried their ready-meals or soups but they certainly offer more than the average Spanish store so you’re bound to find quite a few options to choose from. As we said earlier the fruit and veg here is amazing and anywhere you go from the markets to the supermarkets, you’ll find excellent avocados – so if you want a great sandwich filler on the go – pick up half a baguette (media barra de pan), get out the Swiss army knife and away you go. Avocado toast with a drizzle of lemon and some black pepper makes a wonderful breakfast in too – but you probably already know that. 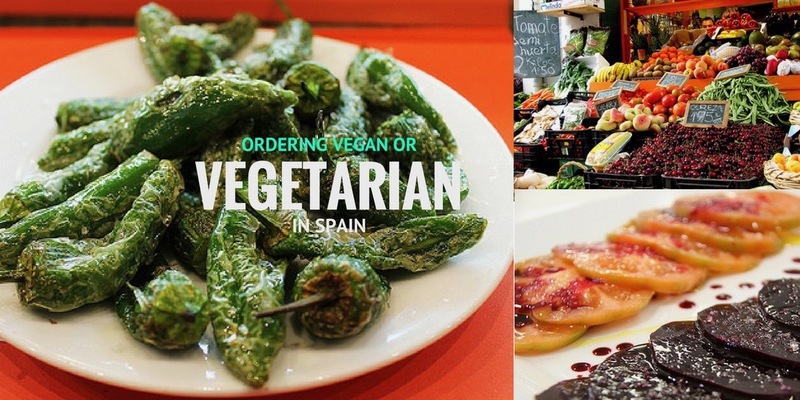 We hope we’ve given you some helpful tips on what to order as a vegan & vegetarian in Spain. If you’d like us to do the explaining and negotiating with the hotel and restaurant kitchens – we’re more than happy to look after all the catering arrangements for our clients. We also offer this service for kosher and gluten-free travelers and travelers with allergies. 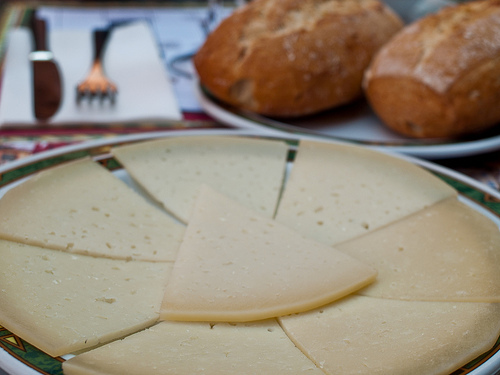 Posted in Food & Drink, Popular Posts, Useful Information and tagged dairy-free, food markets, fruit, healthfood store, ingredients, labelling, listings, meat-free, menu, Spain, Spanish, special dietary requirements, tips, translations, veg, vegan, vegano, vegetarian, vegetariano.